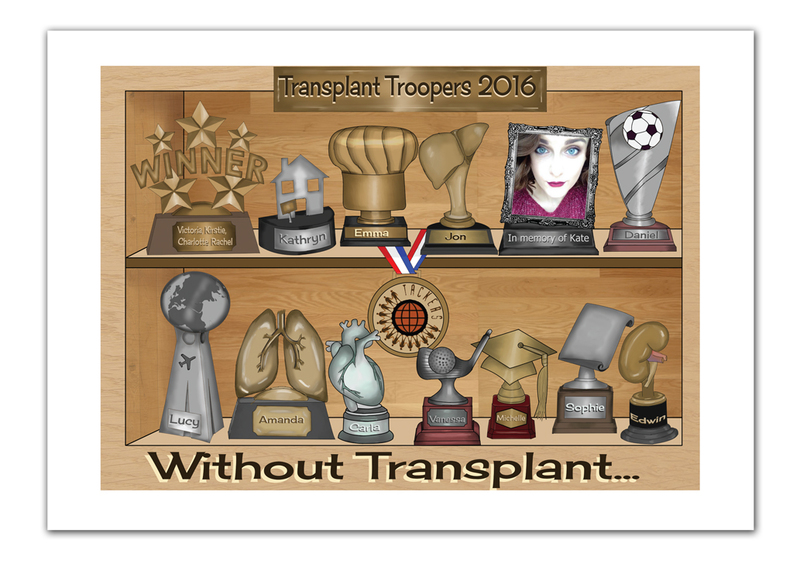 Transplant Troopers Calendar 2016 is a collection of Transplant patients who are wanting to raise awareness of Organ Donation at the same time as raising funds for Transplant charity Tackers. The calendar celebrates the achievements that have been made possible because of transplantation. All 16 Calendar participants have all had their lives directly impacted by organ failure. However having undergone transplants for lungs, hearts, livers, kidneys, and bone marrow the collective are determined to do everything they can to help raise awareness of organ donation and the need for those who are already on the register to share their wishes with their families. The 1950’s designed calendar also acts to dramatise the life changing effects that a new organ can bring to someone’s life and achievements that they have made because of their transplant. The vibrant collection of shots depicts one transplant recipient for each month with December being the exception with a group shot of the calendar creators. The photographs are shot in a variety of settings with a 1950’s inspired theme.